Bukit Panjang used to be a second home for me during JC days as a bunch of my friends resided in the area. A recent trip down got me surprised by how much the place has changed. With the new Downtown Line and mall, this hood has just upped its level on the Cool-O-Meter. 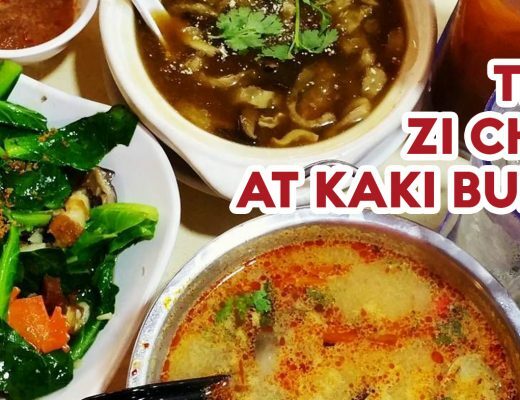 Here is a round-up of 10 Bukit Panjang food gems to check out when you’re in the area. The dishes at Yuba Hut will first delight your senses with their beautiful presentation, followed by their scent and colour. My favourite is the Aburi Salmon Don ($14+). 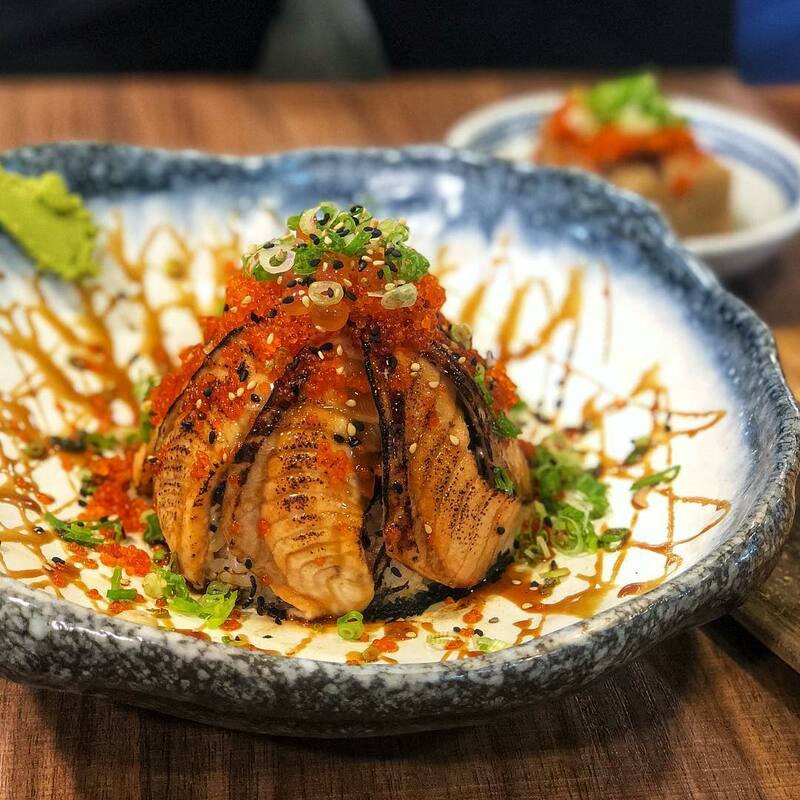 It features a mountain of Japanese rice, fully covered with slices of raw salmon that are later torched to a nice char. They also have super zhnged-up maki such as Cream Cheese Mentaiko Salmon Maki ($14.90+) and Champion Floss Maki ($9.90+), which not only looks good but tastes great too. 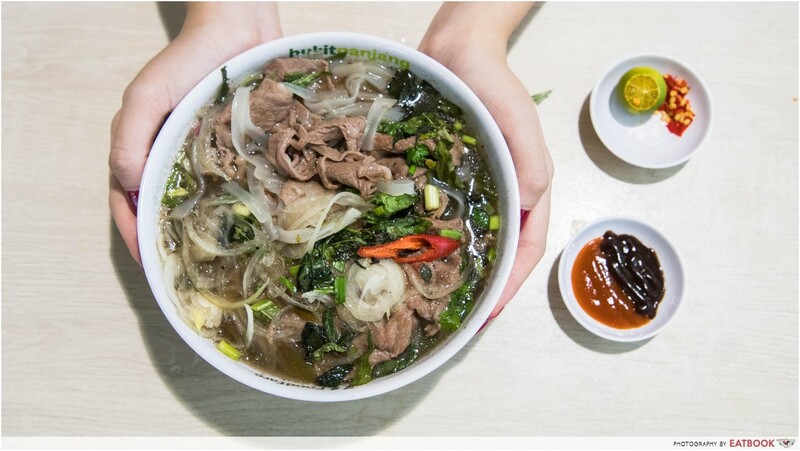 Let the crazy price of $2.50 for a bowl of pho draw you into the hood of Bukit Panjang. The lady boss of Saigon Food Street was an ex-Nam Nam Noodle Bar chef, and this might be the reason why the pho here looks strikingly similar to the one from the restaurant chain. Despite the price, they are not stingy with the portions. They also offer a more premium option on their menu – Pho with Wagyu Slices ($8.50), which features bountiful tender beef slices. Check out our full review of Saigon Food Street! I’m sure those staying in Bukit Panjang would agree that the jewel in the crown of this area would be the ke kou mian from Hai Xian Zhu Zhou. Despite selling just Koka noodles and porridge, the stall attracts throngs of people looking to fill their tummies with the hearty fare. Popular items include Pork Koka Noodles ($3) and Tom Yum Koka Noodles ($3.20). The bowls of noodles come intensely flavoured, with generous portions of vegetables, pork, minced meat, and huge pieces of pig’s liver. Check out our full review of Hai Xian Zhu Zhou! Ga-Hock Eating House is a spot for old-school zi char. 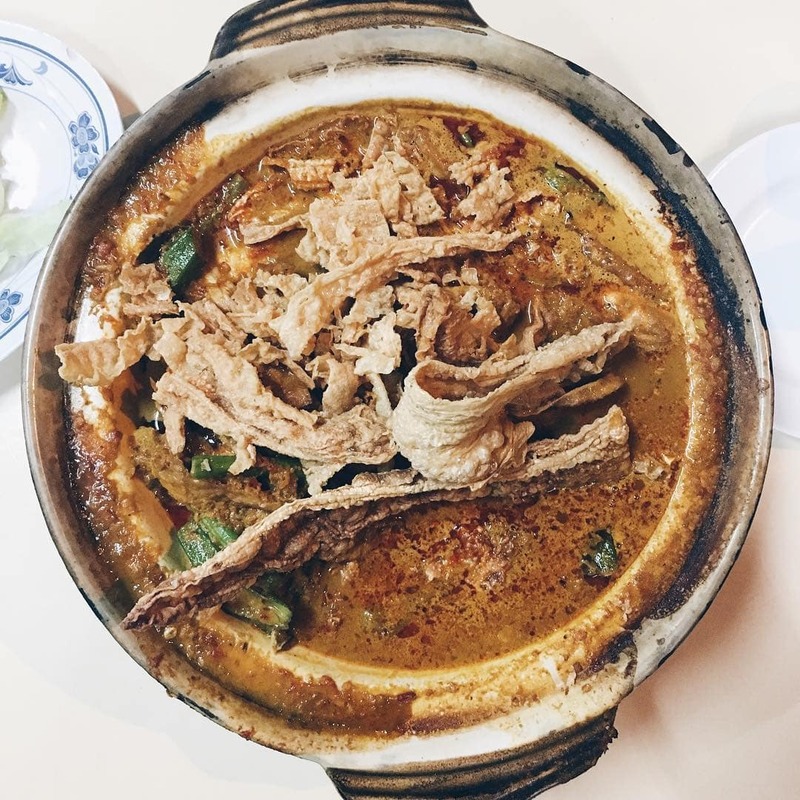 Their Fish Head Curry ($23) has been touted as one of the better ones around. This signature dish comes with a heavy-handed scatter of fried beancurd skin atop the rich and thick gravy. Another must-get would be their Sambal La La ($12), which features sweet clams stir-fried with potent sambal chilli. 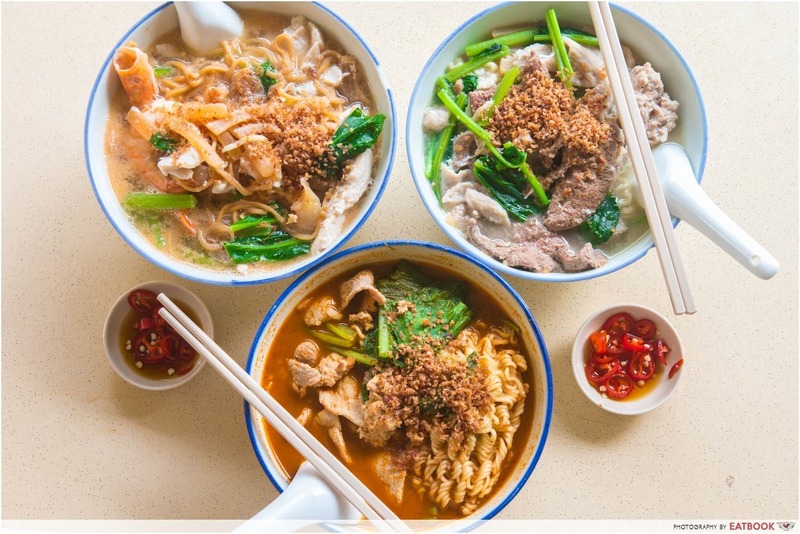 The lor mee from Zai Lai has more than the usual variety of ingredients added on top of each bowl. 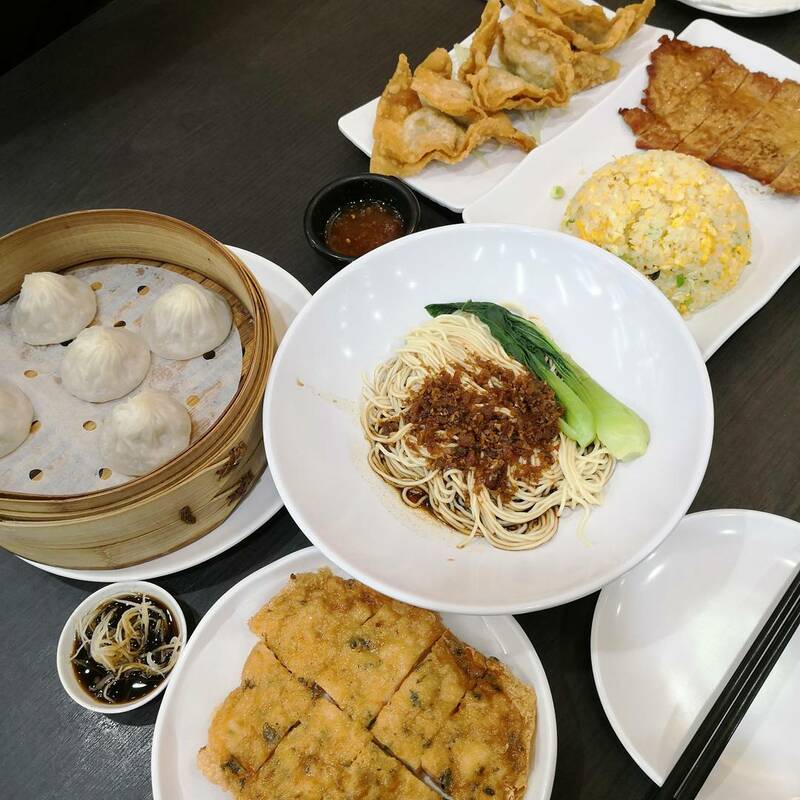 At $2.70, you get ngoh hiang, pork slices, fish nugget, egg, and even wonton along with a substantial amount of noodles. The gravy is also thick and chock-full of flavour, enough to give you a good start to your morning. Bingsu makes for the best after-dinner indulgence, but it hurts our wallet to constantly indulge in it. A gem at the food court, prices of desserts from Gangnam Bingsu start at $5.90 and don’t exceed $10.90. 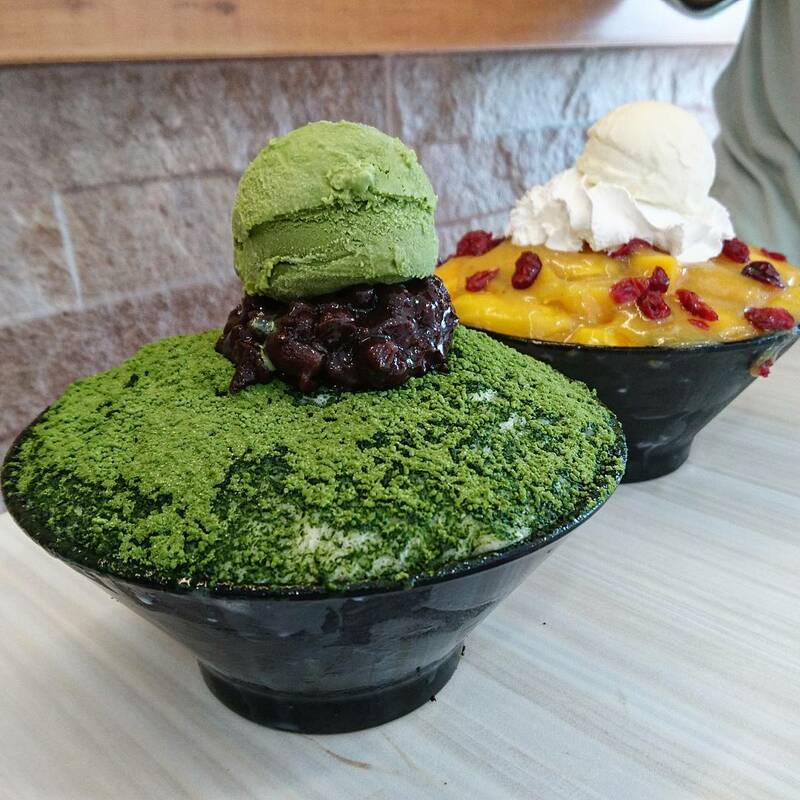 Green tea lovers can go for their Matcha Bingsu ($8.90), while mochi lovers can get the classic Injeolmi Bingsu ($5.90). The shaved ice here is milky and comes flaky instead of finely powdered. 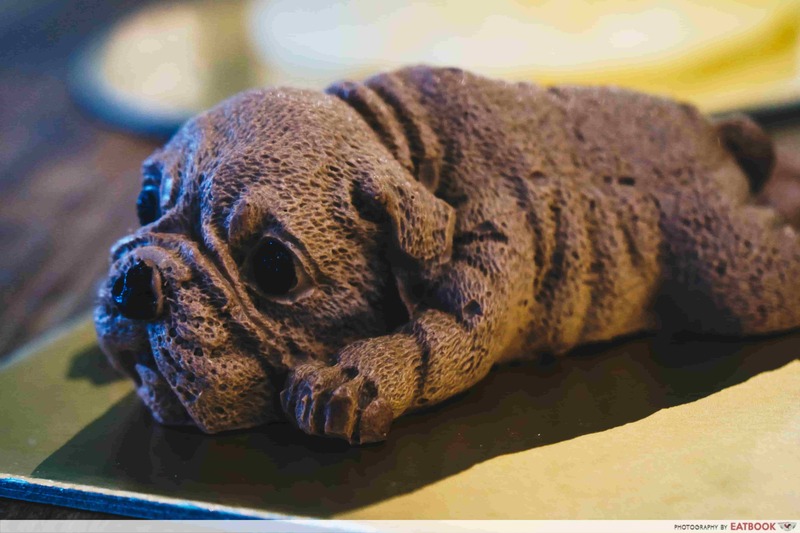 Ex-Swissotel chef Khim has impressed us with his hyperrealistic shar-pei dog cakes ($9.90 each) at Nouveau. Get past its haunting appearance and you’re in for a sweet treat. These cakes are made of delectable chocolate cream and a thin layer of dense chocolate sponge. This little palm-sized cake makes for a great gift, especially for that pesky neighbour whose dog won’t stop barking. Check out our full review of Nouveau! 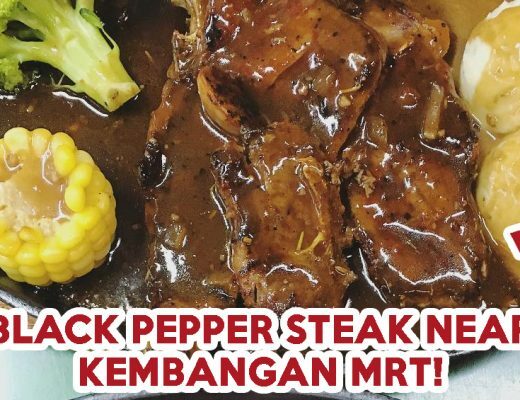 A stone’s throw away from Bukit Panjang MRT Station is Markozar. The popular martabak manis pasar malam stall finally settled into a permanent location. Their dessert pancake is crispy at the sides, and fluffy in the middle. 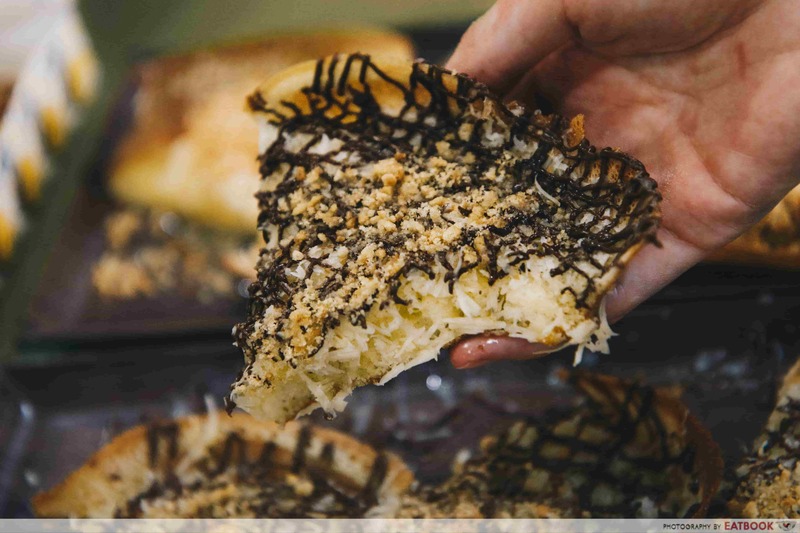 With tasty ingredients such as cheese and condensed milk, each martabak manis is foodgasmic. Other than the OG Original ($6.50), fancier flavours include Nutella Falls ($6.50) and Matcha Banana Cheese ($5.50). Check out our full review of Markozar! Markozar is a Muslim-owned stall. If you’re a fan of Taiwanese food, be sure to give BP Braised Meat Rice a try. 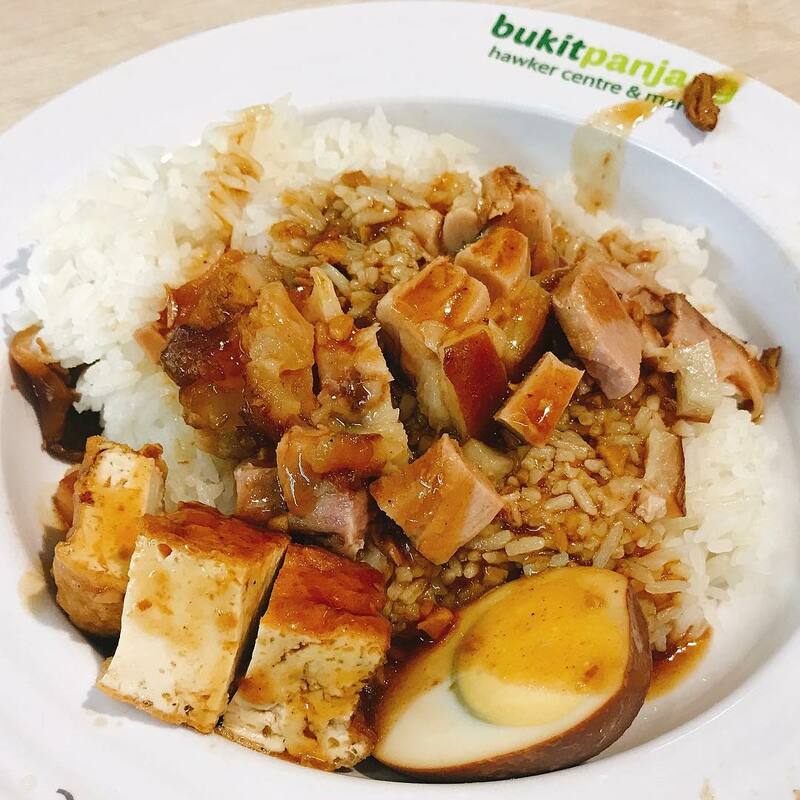 Cheap and good, the most popular item to order is their Braised Knuckle, Egg and Tofu with Rice ($2.80) combination. Each morsel of meat is tender and chewy, and tastes utterly delicious when paired with the thick and savoury sauce. The tofu chunks are also fried before being braised, adding a nice texture at every munch. They also have a Braised Egg, Tofu, and Cabbage with Rice ($2.30) set for days where you want a smaller meal. Those who used to frequent Lavender Food Square would be familiar with Ju Hao. I used to be in awe of its towering steam baskets when my family headed to the hawker centre every Sunday. 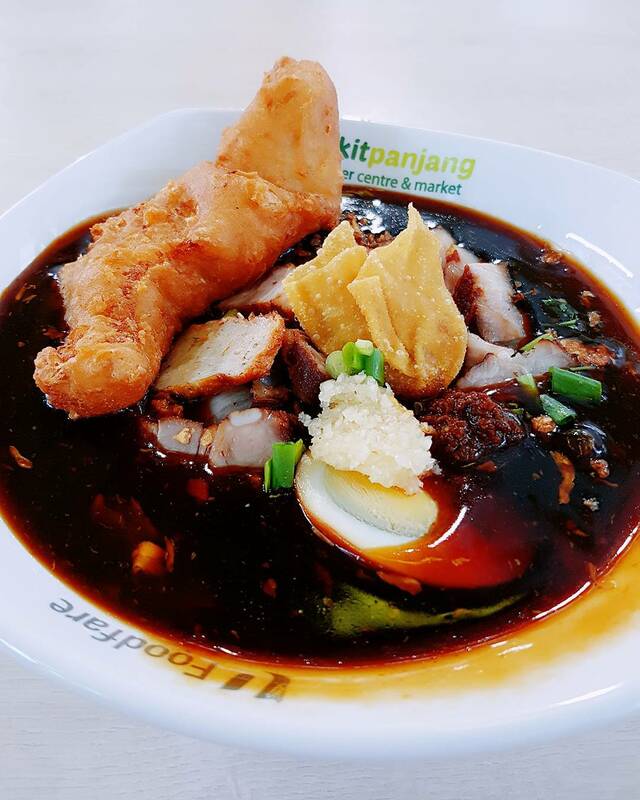 They have since moved out and opened several outlets in malls, and Bukit Panjang Plaza is one of them. Highlights here include their Pork Cutlet Egg Fried Rice ($12.50++) and Steamed Salted Egg Dumpling ($7.80++), but my favourite has got to be their piping hot Red Bean Pancake ($8.80++) that is encrusted with sesame seeds. Folks of Bukit Panjang are definitely blessed. 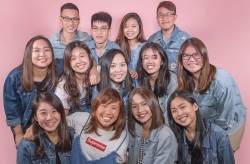 Not only do they have an ample amount of good food in the area, they also have a complete transportation network of MRT, LRT, and buses to bring them there. 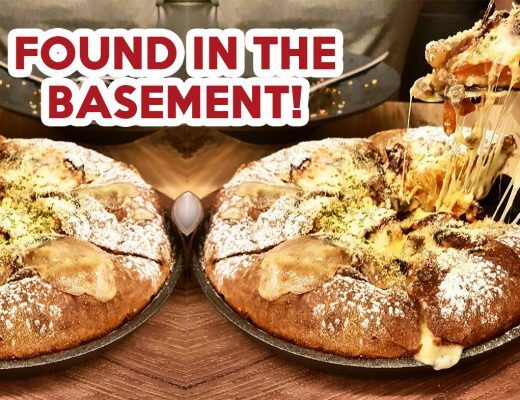 If you’re staying around the area, here are some Hillview and Beauty World food gems to check out!